Muller, Amie Marie (Dahl) Age 36, who resides in Woodbury and from Pine City passed away peacefully on February 18, 2017 after a courageous battle with Pancreatic Cancer. Preceded in death by Grandparents Harris Dahl, Randy & Bea Holmboe. Survived by: husband Brian Muller; children Caidyn Krause, Jace and EmmyLu. Grandma Marian Dahl, parents Jon and Carole Dahl, Siblings, Steve, Kelly (Jonas), Robert, Michelle (Mark), Michael (Lindsy) and many nieces and nephews. In-laws Dennis and Sandy Muller. Brother and sister in-laws Chad and Rachel Muller. Service will be held Friday, February 24th at Crossroads Church, 5900 Woodbury Drive, Woodbury, MN 55129. Visitation will be from 9-11am. Service from 11am-12pm followed by lunch at the church. Celebration of Life will be held at South St Paul VFW Post, 111 Concord Exchange S, South St Paul starting at 4:00pm. Amie's Military burial will be Monday, February 27th at 2 pm at Fort Snelling National Cemetery, 200 Tower Avenue St. Paul, MN 55111. In lieu of flowers, memorials preferred to the family for college funds for the children and a foundation to be started in Amie's name to help other military families affected by Pancreatic Cancer. 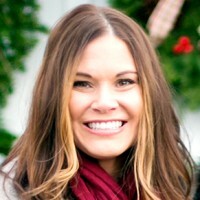 Amie enlisted in the Air Force in 1998, she joined Minnesota Air National Guard at the 148th Fighter Wing in late 2001. Amie trained as a Military Photojournalist. In 2005 and in 2007 she was deployed to Balad AFB Iraq as part of the military Intelligence Squadron, and worked with the Weapon Systems Video program. During her time deployed, she also volunteered at the Balad Air Force Hospital, where she spent time assisting medical staff, visiting patients, and spreading joy with her infectious smile. Amie worked at Minnesota Army and Air National Guard command. In this Visual Information role, Amie created multiple foundational programs that shaped the way we honor and remember the fallen in our state. Amie spearheaded the creation of a program that provides support in creating video and photo productions for military families who have suffered a loss. She also designed the memorial license plates for "Gold Star" families who have lost a family member serving on active military duty. Amie took great pride in these programs, and poured her heart into their creation. Amie was a model airman, a mentor and a leader who embodied all of the values one would expect from someone who dedicated her life to serving her country for 18+ years. Her loss is felt around the world by the thousands she has touched. She was light. She was love. She was Amie strong.